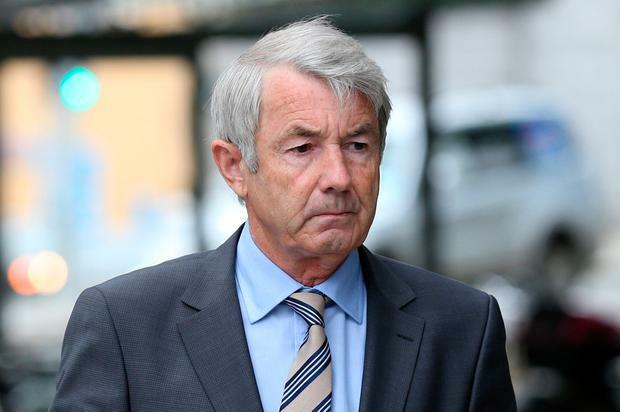 Independent TD Michael Lowry has had a charge of delivering an incorrect income tax return for 2002 dropped. Eight charges in relation to Mr Lowry's company Garuda Ltd, filing corporation tax for 2002 and 2006 remain before the jury. Mr Lowry (64) of Glenreigh, Holycross, Co Tipperary, pleaded not guilty at Dublin Circuit Criminal Court to the charges. Judge Martin Nolan agreed with Michael O'Higgins SC, defending, that following legal submissions his team applied for "a direction of not guilty" and the State did not oppose. Earlier in the trial Henry Oliver, in the investigation unit of Revenue, told the jury he looked into a €372,000 payment in August 2013 and assessed it as an emolument (a wage or salary) earned by Mr Lowry. On that basis he determined Mr Lowry owed income tax on the figure and Garuda PAYE and PRSI on the sum. He assessed the total owed to Revenue, including penalties and fine, as being €1.1m. Mr Lowry's defence team didn't accept the €372,000 constituted an income but that the money was owed to the company as commission from Finnish company, Norpe. The jury heard that both Mr Lowry and Garuda Ltd successfully challenged the Revenue assessment before the appeals commission in 2015. Mr Lowry's political secretary earlier told the court that in August 2002, he asked her to oversee a payment of £250,000 to an individual for money owed on a property deal. Aileen Dempsey told how she received a message from Kevin Phelan that he was due a payment from Mr Lowry in respect of a property deal. Mr Lowry, told her there was commission due to Garuda from Norpe OY and he instructed her to raise an invoice from Streamline Enterprises for that amount. She later told how in January 2007, Mr Lowry's accountant asked her to type up a letter on Streamline-headed paper, which was signed by Mr Lowry. This stated that a payment of €372,000 was received directly to Mr Lowry but it was actually owed to the company in respect of commission. It is the State's case that Mr Lowry's company, Garuda Ltd, received €372,000 in commission from Norpe OY, a refrigeration company based in Finland, in August 2002. It is alleged Mr Lowry arranged for this payment to be made to a third party, Kevin Phelan, residing in the Isle of Man, and therefore it didn't appear in the company accounts for that year.